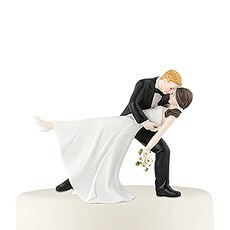 A romantic cake topper is more than just a part of your wedding decor; it's a keepsake you'll treasure for a lifetime. 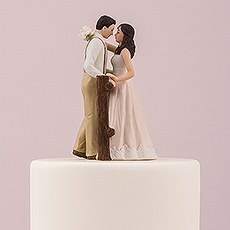 If you're looking for something extra-special to add to your wedding cake, choose from this selection of lovely cake toppers from Weddingstar. 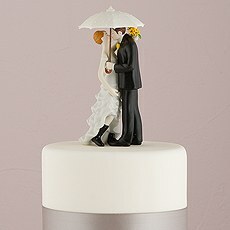 Our bride and groom toppers are made from beautiful porcelain that looks stylish with class and modern cakes alike. 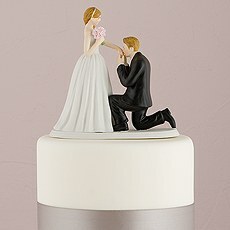 But despite the vintage appeal of these porcelain figurines, these unique cake toppers are able to be fully customized in order to resemble you and your future spouse. 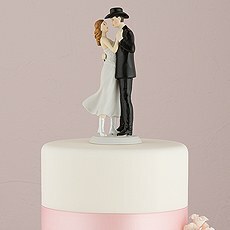 By adding these personalized touches, you can create wedding cake decor that feels even more special for celebrating your brand-new union.Before adding your personalized details, you'll get to choose from our great selection of romantic and charming cake topper poses. From a graceful dip to a sweet embrace, we offer a variety of designs to complement your style and reflect the nature of your relationship. 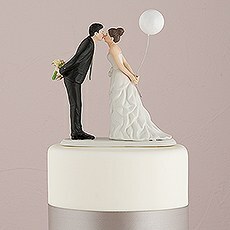 You can also choose cake toppers which are shown in attire that resembles the outfits you've selected for your wedding day.Once you've chosen your favorite design, your personalized cake toppers are hand-painted to add your custom details. 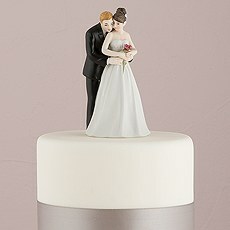 Choose from several shades for the bride and groom's hair colors. 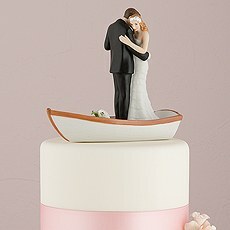 In some cases, you may also be able to add further details, like the bride's shoe color. 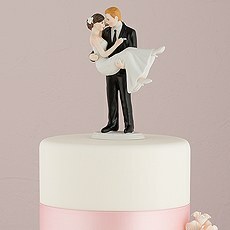 Certain designs also have various skin tone options available. 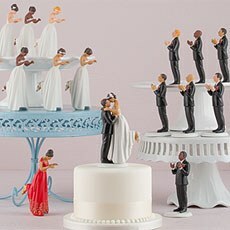 With all these choices, it's easy to create a beautiful cake topper that's personalized to look like the happy couple.In addition to these custom cake toppers, you can choose from a wide variety of personalized wedding decor when you shop at Weddingstar. Design your own napkins, add custom guest favors or pick our color-coordinating table accessories when you shop on our site. 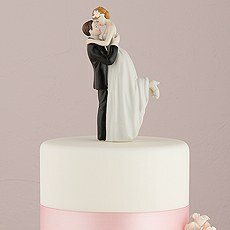 We make it easier and more affordable to put together a memorable and stylish wedding ceremony and receptions.